The Bauhaus festivals are legendary: in the 1920s, the Bauhäusler – and with them the whole city – celebrated with elaborate productions, costumes and concerts. Since 1997, the Bauhaus Dessau Foundation revives this tradition once every year – with experimental projects, installations, perfomances, readings, music, dance and cuisine. Following a different theme each year, the Bauhaus building and the surrounding urban space are placed at centre stage to become the scene of artistic activities – by regional, national and international artists, designers, musicians and students. 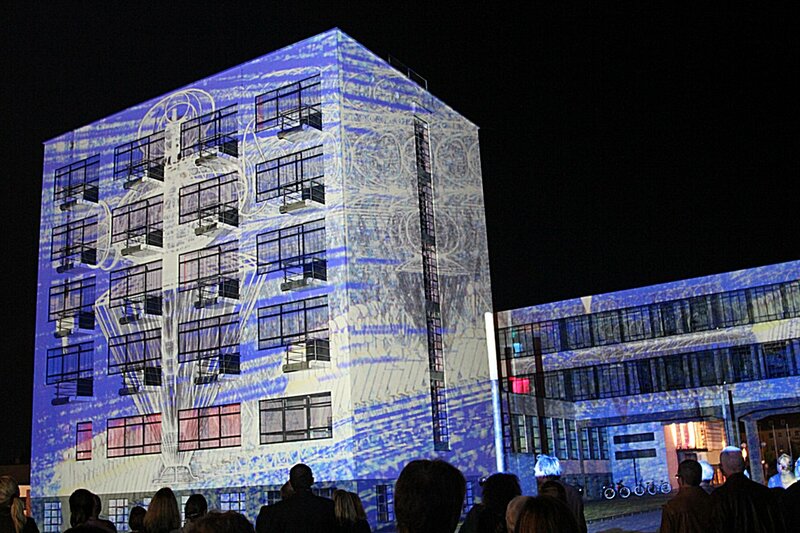 In 2015 the Bauhaus Festival takes up the theme of Bauhaus master Wassily Kandinsky and his activities as part of the artist collective “Die Blaue Vier” (The Blue Four), founded in 1924, which comprised Kandinsky and the Bauhaus masters Paul Klee and Lyonel Feininger along with Alexej von Jawlensky. Prior to the First World War, Alexej von Jawlensky, like Kandinksy, also belonged to the legendary artist group “Der Blaue Reiter” (The Blue Rider). The artist collective, as well as Wassily Kandinsky’s artistic reflections on the relationships between colours, shapes and sounds, his approaches to art education and his stage theories, all offer sample material for experimental and rich festival design. Among the many events being held in preparation is a visitors’ workshop with renowned lighting designer Philipp Geist to develop suitable illumination of the Bauhaus Building for the celebrations.